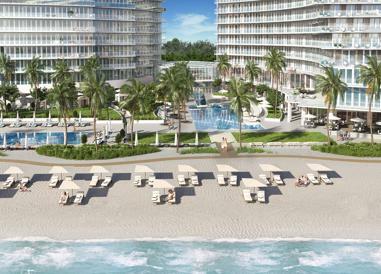 Auberge Beach is an ultra-luxury new construction project on 4.6 acres with 450 feet of oceanfront. 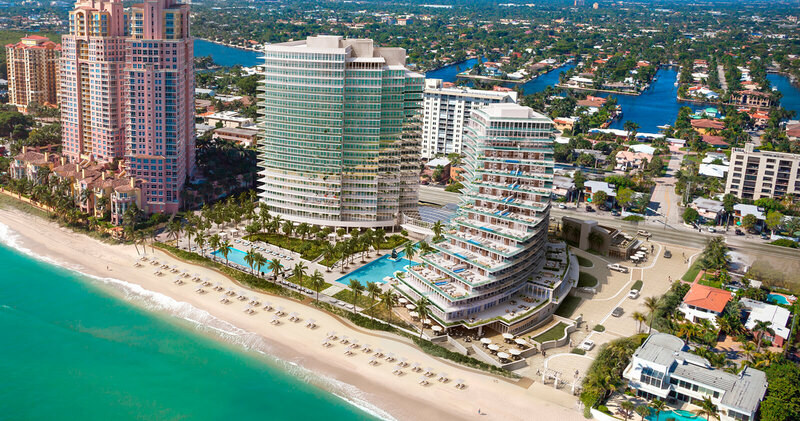 It is being developed by Related, Fortune, Auberge Resorts, Carlos Mattos and the Fairwinds Group, so you can rest assured that it will raise the bar for oceanfront condominium living on Fort Lauderdale Beach and all of Broward County. 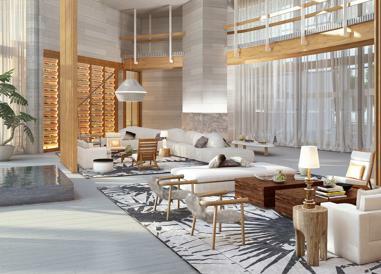 Auberge Beach Residences and Spa will offer the highest level of services for you to enjoy. 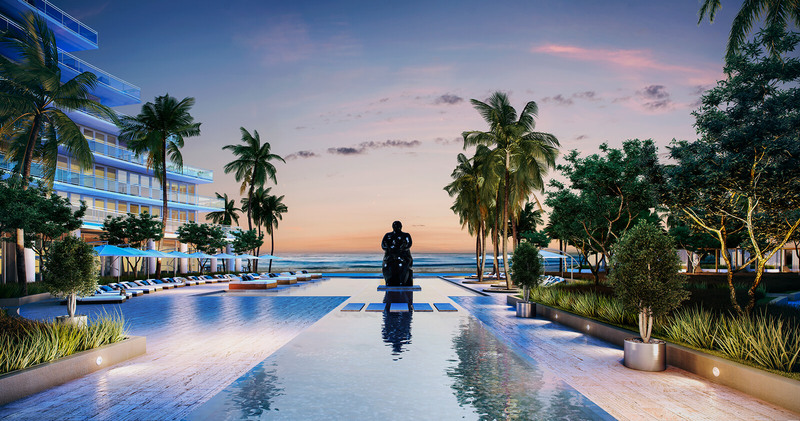 Some of the amenities include a World Class Full Service Spa, State-of-the-Art Fitness Center overlooking the pool deck and Atlantic Ocean, fine dining and casual restaurants offering the finest cuisine, a barefoot butler service and so much more. 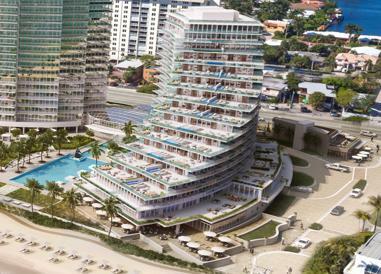 Art and luxury are brought together to create a unique complex that changes Fort Lauderdale’s skyline. An extraordinary property that showcases signature amenities to pamper its exclusive residents such as exquisite restaurants, complete relaxation spa, and beachfront facilities. Service also differentiates Auberge as a high-standard residential building on a beautiful location of 450 feet of white sand beach. 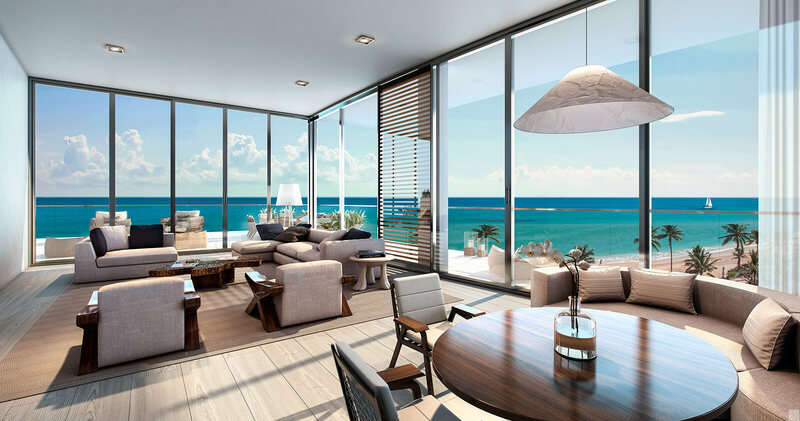 At the North residential tower in Auberge Beach Residences & Spa in Fort Lauderdale, you will have a large choice of units ranging from 4 to 5 bedrooms and interior square footage between 1,700 to 4,971. 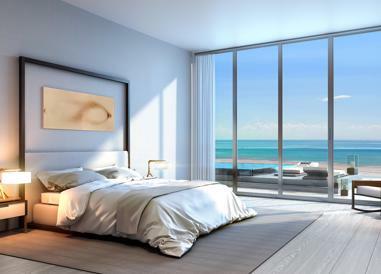 The residences were designed to take advantage of the oceanfront site, with flow-through plans offering 9’ high ceilings and glass walls that provide impressive views of the city skyline, the Atlantic Ocean, and the Intracoastal Waterway. The open floor plans offered in the South Tower of this exclusive development vary from 1,355 – 3,724 Sq. Ft. distributed in 1 to 4-bedroom units. For specific residences den, family room and home office are also included. The outdoor square footage ranges between 276 and 1,679. 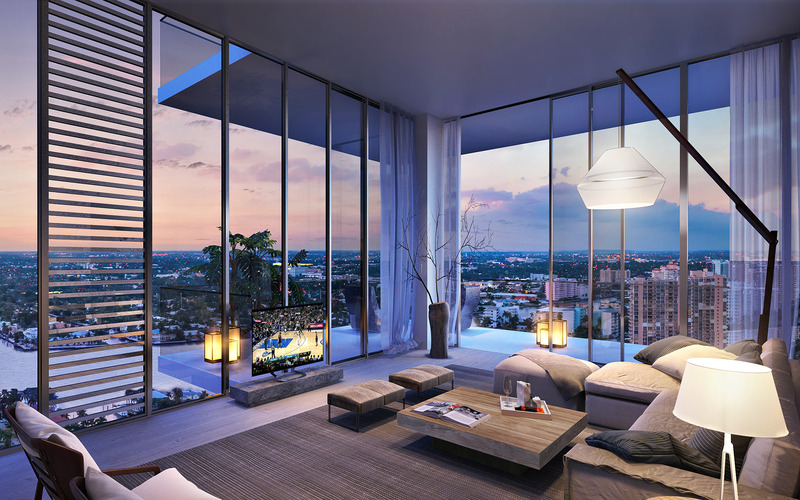 To top it off the penthouse collection offers 5 exclusive and large penthouses ranging in sizes from 4,292 Sq. Ft. to 5,817 Sq. 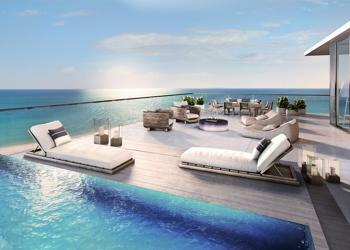 Ft and amazing private pools in the vast terraces of selected residences. Auberge Beach Residences & Spa in Fort Lauderdale is distinguished for the importance to detail and this characteristic is presented in every area including the kitchens & bathrooms, that showcase fine materials and finishes, such as: Italian designed kitchen cabinetry, integrated Sub-Zero and Wolf appliances, with an espresso/cappuccino system. The bathrooms feature modern fixtures, his & her vanities, a deep soaking tub and much more. 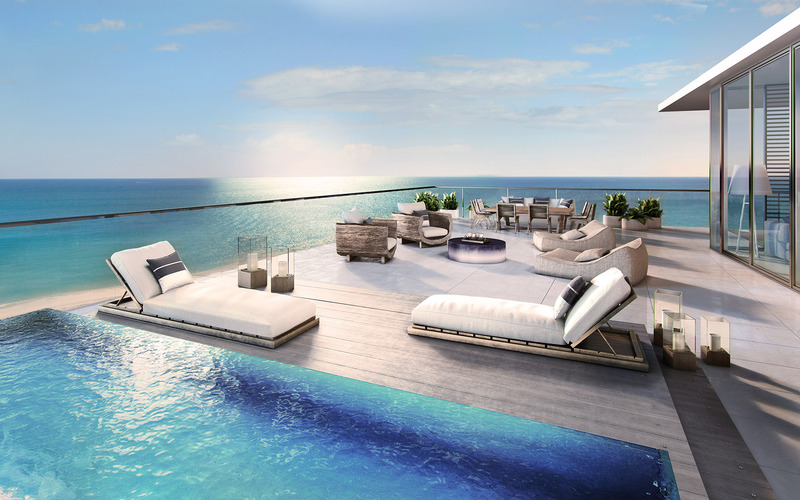 The project offers swimming pools and cabanas with the best service and vistas to the ocean. The signature spa offers relaxation treatments inspired by the soothing local ambiance. 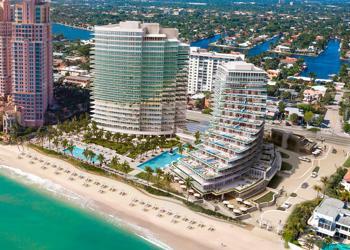 Residents will have access to global exquisite cuisine in Auberge’s Ft. Lauderdale restaurants. Wine tastings salon featuring Auberge’s Best Napa Valley Selections. Sq Ft Range: 1,350 - 6,000 Sq. Ft.